Receipt Bank Submission Methods: Effortless! 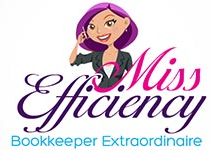 All you need to know to never lose another expense document and easily deliver them to us in real time. 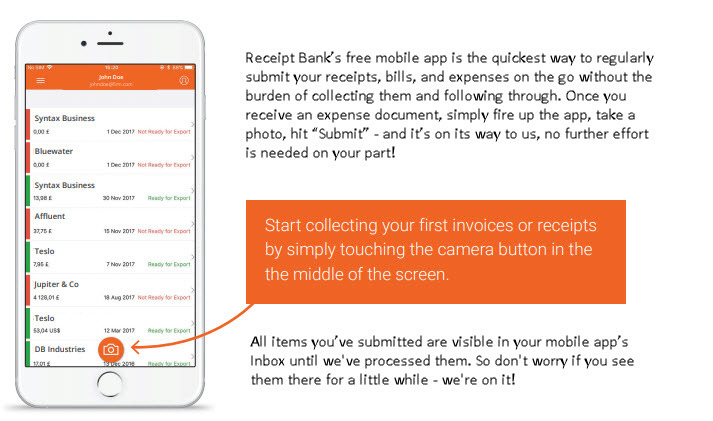 Receipt Bank revolutionises the collection of expense documents providing you with the technology to send any receipt or bill to us as soon as you receive them – with just a few clicks, without delay or effort. 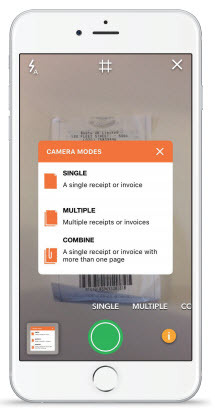 You can now start taking photos of receipts and bills and submit them for us to review. 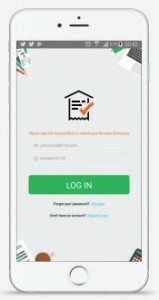 On your phone you can download Receipt Bank directly from the link in the SMS and your credentials will be auto-populated and you’ll just need to type in a new password. Just snap a picture, hit the “Submit” button and let us do the rest! Make sure to take each receipt/bill individually. Quickly submit up to 50 single-page receipts and/or bills. For bills/receipts on 2 or more pages (or really long receipts), that you need to snap on both sides in order to process correctly. Make sure the image captures the whole bill/receipt. Allow enough light to fully capture the bill/receipt. 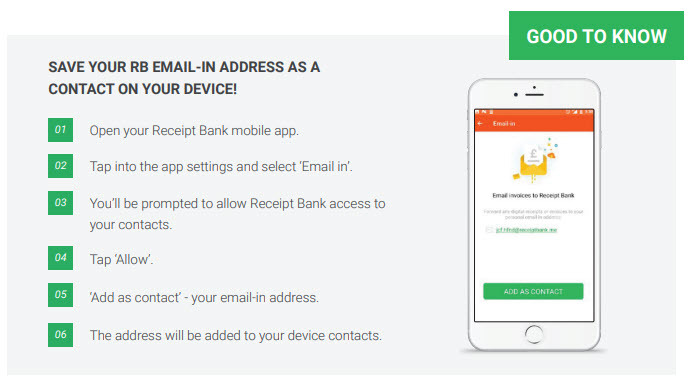 Your personal email-in address is different from your log-in email address for Receipt Bank as it’s another submission method you have at your disposal – it’s easy to identify it as it always ends with @receiptbank.me. It’s convenient as invoices enclosed in emails (as HTML, PDF, etc.) that are sent to this address, regardless of who sent it, will be submitted to your Receipt Bank Inbox and from there, directly visible for us to process them. If you receive statements from your suppliers, send them through to Receipt Bank so we can reconcile to ensure all bills have been captured. If your supplier sends their bill as a link within an email, please request they resend with the PDF attached. Receipt Bank reads the attachment, or takes the email if there is no attachment (for transactions where the email forms your invoice). Receipt Bank will not download bills from links. It is not our policy to download links due to the increase in malicious activity, and we wouldn’t recommend you download from links either unless you’re very sure it’s safe to do so. Save your Receipt Bank email-in address as a contact on your mobile device.